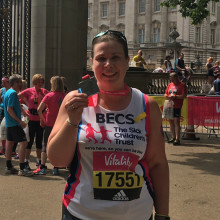 Becs Hurst is joining #TeamSCT to raise money in this year's Virgin Money London Marathon. 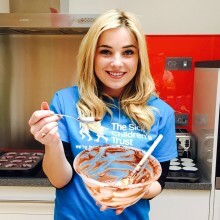 Becs has been supporting us since 2015, helping to raise awareness and fund for Big Chocolate Tea and most recently taken part in Vitality 10,000. 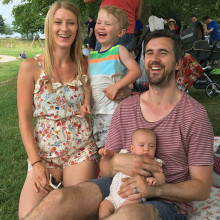 Laura and Chris Penfold are on a fundraising mission to raise money for The Sick Children's Trust after we supported them when baby Willow was born 13 weeks early and needed lifesaving treatment at The Rosie Hospital. 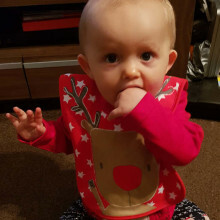 Alexander Morris' family have donated £210 to our Christmas appeal, bringing us closer to our target of £13,140, enough to keep our ten 'Homes from Home' running over the festive period! 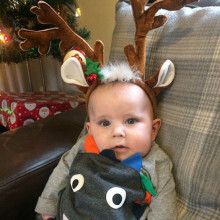 Edward's parents are supporting The Sick Children's Trust's Christmas appeal as thanks for giving them a 'Home from Home' at Stevenson House. 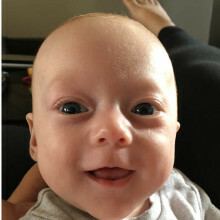 All I want for Christmas is a big family Christmas! 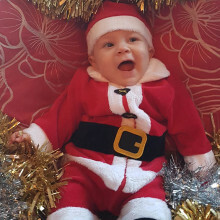 At just seven weeks old Kobi became seriously ill and was diagnosed with multiple heart conditions, which led to him spending his first Christmas in Leeds General Infirmary. 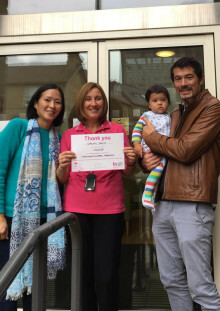 The Sick Children’s Trust has supported Kobi’s family at Eckersley House since his first admission. 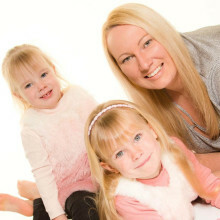 As a thank you, Kobi's family have joined in The Sick Children’s Trust’s first ever Christmas appeal! 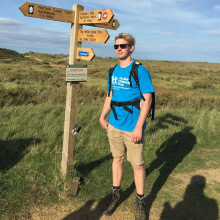 Martyn Large is dreaming up at least a hundred challenges to raise money for The Sick Children's Trust, who have given his daughter a 'Home from Home' at Scott House whilst little Ellie has been receiving treatment in hospital. 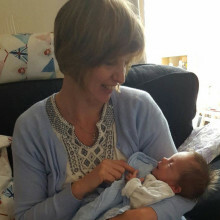 A devoted grandmother, Jeanne Cookson, has raised £285 for The Sick Children's Trust after we gave her daughter and son-in-law free accommodation at Eckersley House after their baby son was transferred to Leeds General Infirmary. 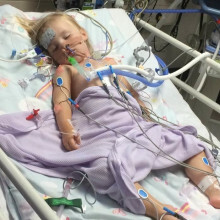 Abby was born with two serious heart conditions - pulmonary stenosis (PS) and an atrial septal defect (ASD), but was almost two years old when she underwent open heart surgery and her parents were supported by The Sick Children's Trust at Scott House. 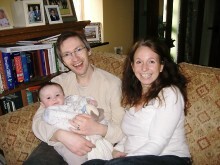 Stuart and Amanda's son, Samuel, passed away eight years ago during which time they were supported at Acorn House. 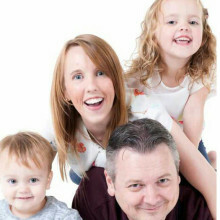 To help cope with their grief, the couple have both written books. 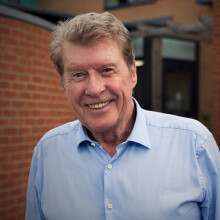 25% of the profit from the sale of Sam's Story, which is available to buy on Amazon, is being donated to The Sick Children's Trust. 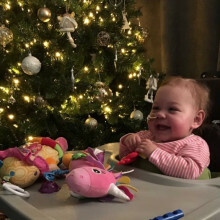 On Saturday 2 December, The Sick Children's Trust's North East Fundraising Committee will welcome guests to its fourth annual Snowflake Ball to raise money for the charity's 'Homes from Home' in Newcastle. 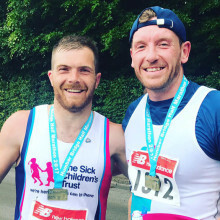 Doncaster Rugby League player, Liam Welham, has applied to break the Guinness World Record for a continuous 24 hour jog to raise money for The Sick Children's Trust who supported his sister, Emily. 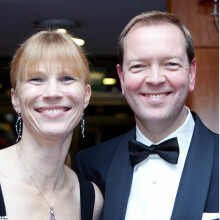 This year's Snowflake Ball is on the horizon and we are excited to welcome guests once again to Newcastle Gateshead Marriott Hotel. 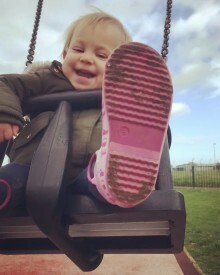 Gemma Nelson is training to run the ASICS Greater Manchester Marathon in April to raise money for The Sick Children's Trust after we supported her family at Acorn House.